Favorite recipes of the Lester S. Miller family. Tried and tested by Amish cooks. Harvest of Our Heritage brings you a collection of 700 favorite recipes from our close-knit family. Use our recipes to cook a simple light meal, prepare a fancy tea party or cook a big, traditional Amish meal. You will find canning and freezing recipes and tips for preparing a wedding. It's all here for you. 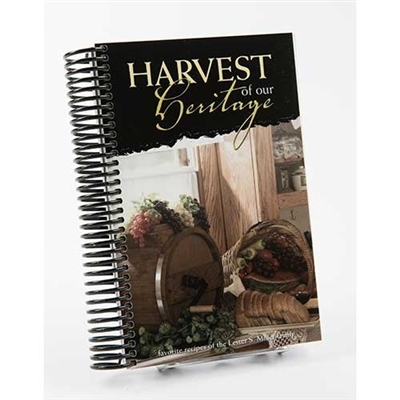 Interlaced within it's pages are memories of treasured times spent with Grandpa and Grandma. This is our family's way of sharing the joy of the Harvest of our Heritage with you. May God bless its readers and their families. Enjoy!